Since a drone is an incredible piece of technology and is quickly changing the world around us in terms of all it can do, you’d think that everyone and their dog would be out with one. Which, it seems, is precisely the problem. With so many people out there becoming “experienced” pilots, more and more people are having issues in terms of privacy and comfort. This raises more questions that should be answered as a result. Here are some more of the biggest ones to learn about. Can I fly a drone over private property? When you see a sign that marks private property, you know that you shouldn’t go in and check it out. After all, it is private property owned by someone else other than you. This is also the case with drones. Drones are, essentially extensions of ourselves, so it’s no different than running around with a video camera on the ground. Make sure you have permission from the property owner before flying over private property. 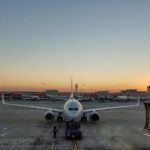 Can I carry a drone on a plane? The rules are changing quickly in terms of planes and luggage. Currently, some airlines allow for drones to be carried on plane and some do not. The same goes for airports. When looking to fly with your drone, you should check the regulations with the airline and airport to make sure both allow for the drone to be on-board. 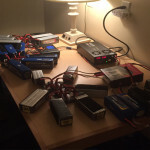 You also may find certain specifications in how it is checked or stored as well. Again, since these rules changes constantly, you should check every time you want to fly. Do I own the airspace above my house? This question is tricky simply because there are technically no rules in place yet about home-based airspace due to drones still being considered too new for them to come out. 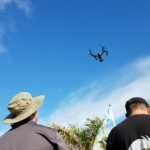 The general rule is that you can fly a drone on your own property (or property of someone who gives you permission) up to 400 feet in the air. Anything above that does not belong to you and could be considered interfering with airspace for commercial flights. If someone is flying around in “your airspace” and you would like them to stop, you can contact local authorities or talk directly to the pilot. You technically own it, but you are not within your rights to bring the drone down. Some states allow for drones to be registered only for commercial flying, and some require all drones to be registered regardless of personal or commercial use. 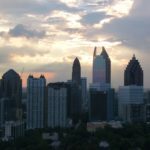 Within your state, checking out the most recent publication for these rules is a good idea to make sure that you are legally allowed to fly your drone. 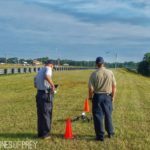 With everyone following the proper rules and regulations, especially as they change and modify, flying drones can become a positive thing for all involved. Hopefully, these answers to your questions will help everyone’s privacy stay protected and disruption or irritation to the minimum, both to residents and drone pilots alike. 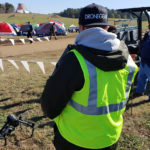 As we mentioned last month in our first Top Drone Questions Asked & Answered, you need to do your due diligence to be sure you are following the current and newest local and FAA regulations to protect yourself. While we aren’t lawyers, rule makers or enforcers, we are FAA approved drone pilots and follow the rules when we fly. We make a living helping companies with their marketing material, television commercials, movie trailers and more with the use of drones. Should you need such assistance or services, please contact Drones of Prey for a free quote of services.